There are remedies for recession, and the remedies are well known. But fixing the economy requires special medicine, fiscal stimulus, and if the patient does not take the medicine, he will not improve. It’s not enough to have the medicine sitting on one’s nightstand. It must be ingested before recovery can begin. Opponents of stimulus say that it doesn’t work. But before Obama launched his $787 billion recovery program, the economy was shedding 750,000 jobs per month for 6 consecutive months. Manufacturing and exports were plunging faster then during the Great Depression. Now unemployment has leveled off at 9.5% and manufacturing, exports, retail and personal consumption have all rebounded. This did not happen by accident. The economy is responding to government spending. Stimulus works. There’s nothing mysterious about stimulus. It’s quite simple and does not require a degree in economics to understand. Spending creates economic activity; economic activity creates growth. Full stop. The economy does not care if households are spending or if the government is spending. It doesn’t matter. The result is the same–more economic activity, more growth. The opposite of spending is saving. When consumers save–as they are now because their balance sheets are underwater– and businesses save–because consumer demand drops off; then the economy can shrink very fast unless the government steps in and keeps the economy running with deficit spending. Thus, personal savings equal government deficits. This is what British economist John Maynard Keynes figured out; how to soften the business cycle, how to make capitalism less savage and less crisis prone. Keynes developed his theories during a period when many intellectuals and workers groups had given up on capitalism altogether and turned to Marxism as an alternative. These people saw a version of capitalism that we see today, where bankers and corporate chieftains control the political system and use it to rip off investors with toxic mortgages, or drag the country to war on a pack of lies, or despoil the environment with impunity. Every generation has its Tony Haywards and Goldman Sachs. Keynes dignified capitalism; elevated it. (perhaps more than it deserved) He believed that free markets created a better environment for personal liberty and happiness. But he did not believe that the market was “self correcting”, or that markets operated best when left alone. Government has a role to play in the business cycle, and when it performs as it should, a great deal of pain and human suffering can be avoided. So there is a way out of recession, a way to sidestep the excruciating downward spiral of debt deflation, high unemployment and social unrest. There are ways to tame capitalism so that a criminal elite are not killing people in foreign countries, or fleecing investors with their garbage securities, or poisoning entire sections of the country with their pollutants. But fixing the system requires medicine; regulation, stimulus (when needed) and accountability. Right now, demand is weak, Obama’s stimulus is running out, and the economy is beginning to teeter. Housing prices have begun to fall (again), consumer spending is off, businesses are hoarding, consumer credit is shrinking by nearly 5% per year, manufacturing has begun to slow, bank lending is down, and the Fed has ended its bond purchasing and liquidity programs. Without additional government spending, the economy will slip back into recession. The recovery is stimulus driven; it is not self sustaining. Austerity measures are precisely the wrong remedy, just as cutting off unemployment benefits or slashing federal aid to the states is the wrong remedy. These actions reduce spending, weaken the economy and clear the way for depression. Again, this is already “settled” economics. The GOP needs Obama’s recovery plan to fail to improve their chances for a landslide in the November midterms. It’s all politics. The fearmongering about the deficits is more of the same; politics. Belt-tightening is not the way out of a slump. Principled conservatives believe that “the bad debt must be purged” before the economy can recover. But this is economics, not religion. The economy functions according to some very basic principles and doesn’t care about our moral pretensions. Some conservatives are too focused on the money supply. But in a liquidity trap–where interest rates are already “zero-bound”–the Fed can pump up the money supply (the Fed has increased banks reserves by over $1 trillion) and the economy will still contract. Milton Friedman was wrong; money supply does not drive the economy. Spending does. The money must get into the hands of the people who will spend it, which is why the economy runs better at full employment. What’s needed now, is more investment. But businesses have set aside a record amount of cash because there’s no need to increase capacity when the health of the consumer is in doubt. Who will buy their products, that’s the question? That’s is why Keynesians focus aggregate demand rather than on money supply. Consumption and investment are both spending and–as we noted earlier–spending generates activity and grows the economy. Money sans velocity (the rate of spending) achieves nothing; the economy will continue to languish. Presently, there is no suitable outlet for investment because households are cutting back to patch their balance sheets. Government can help by increasing deficits and putting people to work. Then business investment will resume, state revenues will increase, and the economy will rebound. Deficits work. Fear-mongering about the deficits is a political calculation to win elections and strangle popular social programs. It has no economic value. If deficits were a problem, the yields on government debt (US Treasuries) would go up. But yields are historically low and headed lower. The GOP says that deficits are a problem. The market says that deficits are not a problem. Who is right and who is wrong? Smart people will trust the market and ignore the political opportunists. There is no danger of inflation. The inflationists are wrong, just like the deficit hawks are wrong. They have been wrong for the last three years and they will continue to be wrong for the foreseeable future. The CPI is falling, commodities are teetering, gold is hanging by a thread. Without fiscal stimulus the economy will contract. And Fed chair Ben Bernanke is likely to let the economy contract by suspending quantitative easing (the bond purchasing program) until after the midterm elections. Why? Because Wall Street is mad that Obama criticized the banks publicly. The financial sector has its shifted support to the GOP. 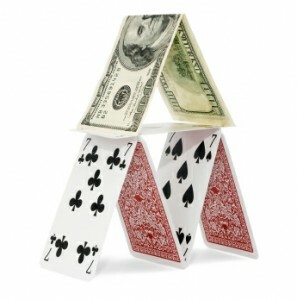 As an agent of the big banks, Bernanke will act on their behalf and withhold support until after the elections. That will ensure two years of political gridlock until Obama steps down in 2004. The reason that so many professional economists (Stiglitz, Baker, Reich, Thoma, Weisbrot, Krugman etc) are frustrated with policymakers, is not because they are “ideological” or “Keynesian” or narrow minded, but because the matter has already been settled. We know what needs to be done to revive the economy. It’s just a matter of doing it.